Charles Feldman is Professor of Pulmonology and Chief Physician at Charlotte Maxeke Johannesburg Academic Hospital. 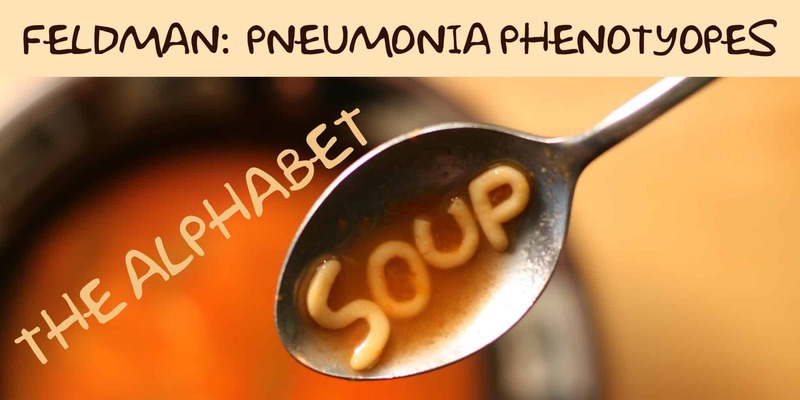 In this talk given at an ICN Victoria meeting last year, he discusses the alphabet soup that represent pneumonia phenotypes and clarifies what it’s all about. His unique perspective on the history behind this incredible relevant topic is well worth hearing and hopefully clarifies some misconceptions.